If you would be interested in a Sample Pack of a few core products, this item is for you. If you would be interested in a Sampler Pack of a few core products, purchase this item. Choose the variety you’d prefer. 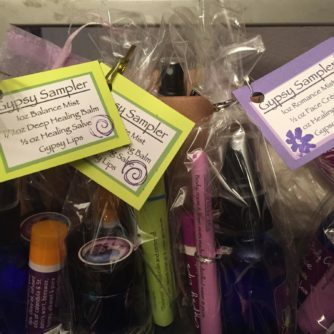 1oz Gypsy Mist, 1/2 oz Healing Salve, Peppermint Gypsy Lips, 1/2 oz Face Creme in decorative organza bag for $20. 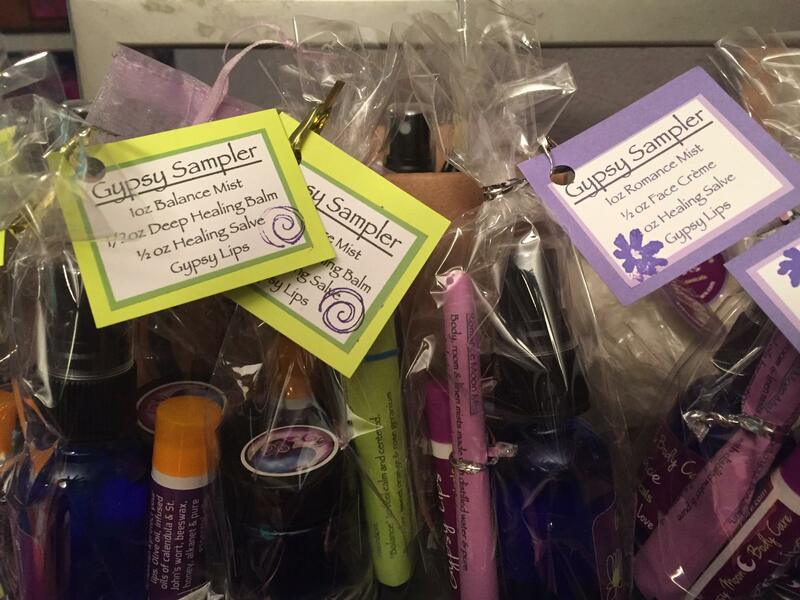 1oz Gypsy Mist, 1/2 oz Healing Salve, Peppermint Gypsy Lips, 1/2 oz Hand Balm in decorative organza bag for $20. 1oz Balance Mist, 1/2 oz Healing Salve, Peppermint Gypsy Lips, 1/2 oz Face Creme in decorative organza bag for $20. 1oz Balance Mist, 1/2 oz Healing Salve, Peppermint Gypsy Lips, 1/2 oz Hand Balm in decorative organza bag for $20.